I’m a jumble of emotions right now. Anticipation. Excitement. Frustration. Joy. Anger. Discouragement. Happiness. They are all mixed together, surfacing one after the other, pretty much uncontrollably. Yay hormones. A cozy Christmas Evening as a family of three. Comfort Food Oh How I Love You! My darling grand-girl Jillian. 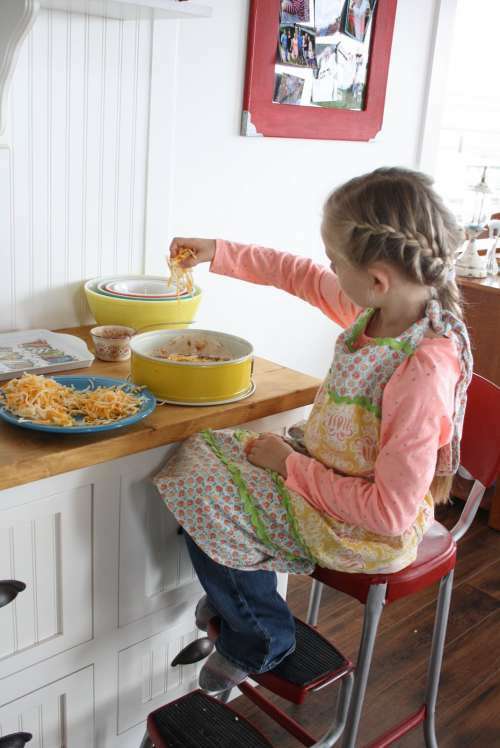 Is there anything cuter than a little blonde girl in braids, Farmgirl blue jeans and a vintage apron? And sitting in her Gram’s kitchen on a vintage stool? Smile! 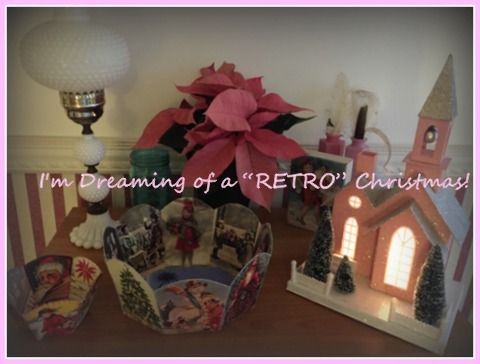 I’m Dreamin’ of a Retro Christmas! It’s Christmas! There’s so much joy packed into just a few short weeks! I adore cheerful holiday displays – especially antique, vintage (or vintage-inspired) decorations. This year, I’m dreaming of a “retro” Christmas! 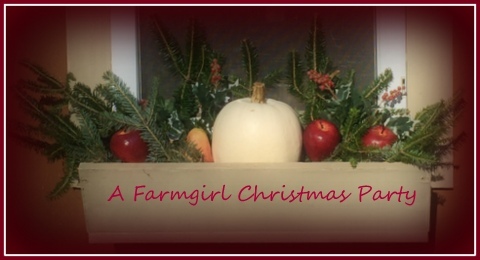 Play some Bing Crosby, and deck the halls – vintage farmgirl style! There’s serious collectors of vintage Christmas this-and-that, but I just choose what speaks to me. 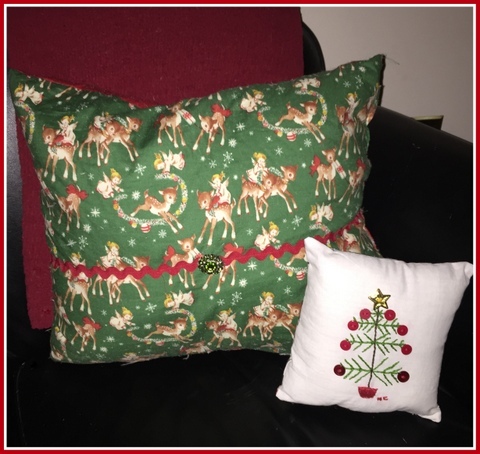 Each year, I add a little something different to our Christmas decor, trying now to incorporate more of the vintage style I love so much (giving me an excuse to go junk-tiquing with my gal-pals). 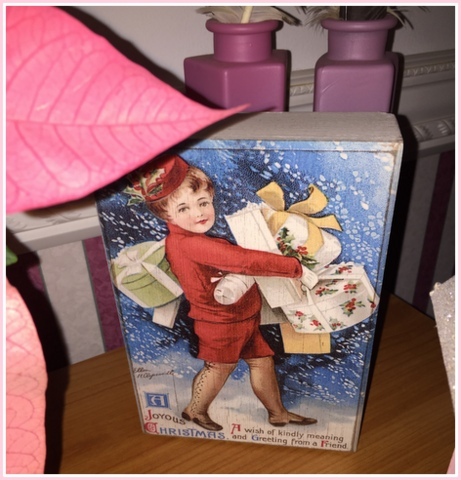 Decorations from Christmas past have so much more charm than their contemporary counterparts, don’t you think? I especially love anything adorned with Santa! 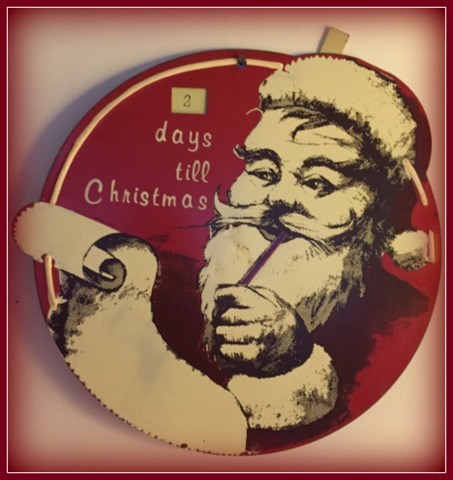 I’ve been counting down the days to Christmas with a tin Santa Advent Calendar I picked up at a tag sale this summer. (It was torture waiting for December so I could put him up)! Not convinced he’s that old (perhaps 90’s vintage), his ol’fashioned smiling Santa face makes me happy. 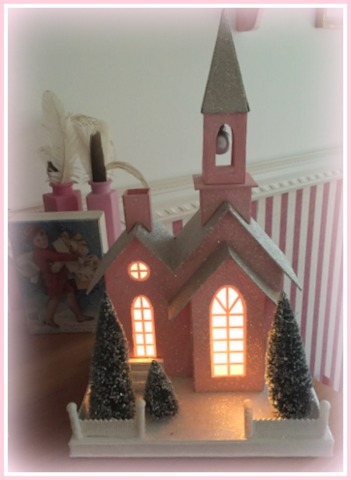 Also softly lighting the night is my kitschy, glittery cardboard Putz church with bottle brush trees (that was offered for free! on a tag sale – LOVE IT)! 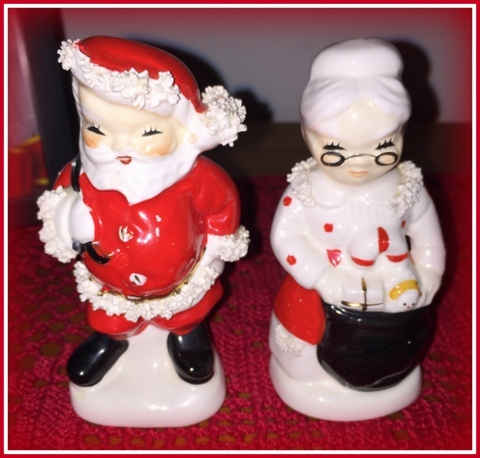 Christmas figurines were the rage in decades past, especially during the 1950s and 1960s. Companies like Lefton (started by George Lefton in 1941), and Napco (started in 1938 and located in Bedford, Ohio), specialized in porcelain from Japan. My husband surprised me with this little Napco couple from the mid-fifties. The figurines are actually salt-n-pepper shakers, only a few inches tall, and sit on hall table as opposed to a dining table. To collectors, they have “spaghetti trim”. Aren’t they sweet? 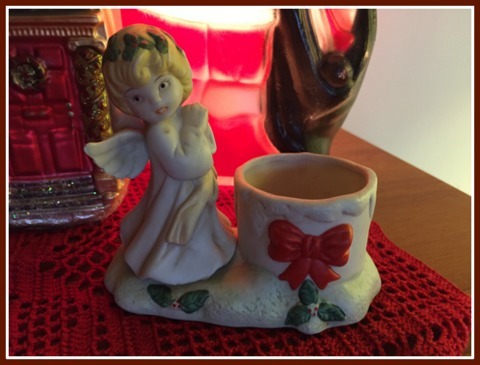 Also from the same era, this little angel holds a tealight. 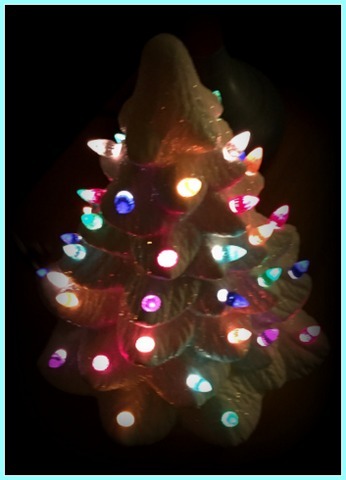 Popular now (again), are ceramic light up trees just bursting with 1970s nostalgia. 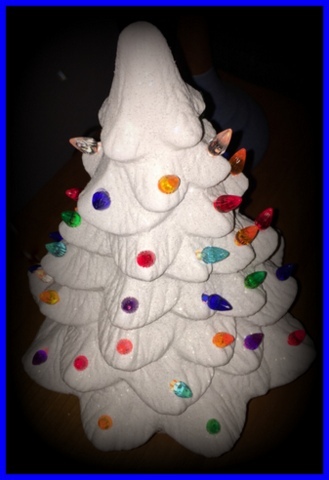 Ceramic trees like this look amazing lit up! 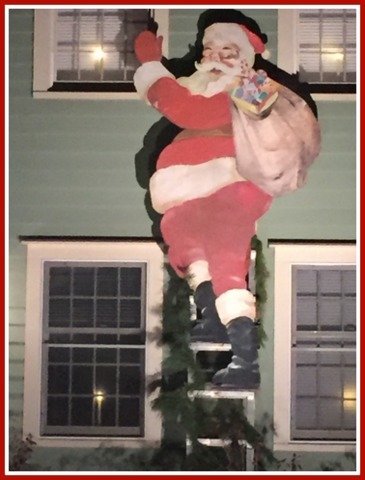 One of the most amazing Christmas displays I’ve ever seen is this giant Santa Claus, once used in advertising, now seen climbing a ladder in front of a local house. Jackie Stakel says her Santa is around eighty years old! 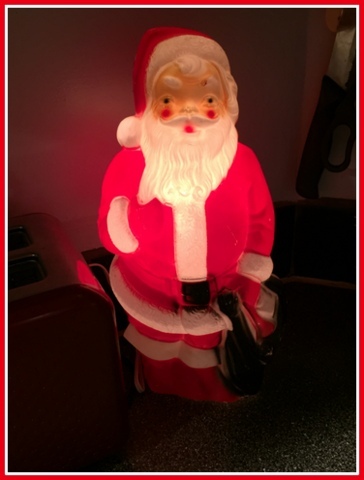 She’s the third generation to display the Santa, made of hand painted wood. Jackie’s grandfather started a paper product company in Pittsburgh, Pennsylvania that created the first foil baking cups. Her grandfather did business with various advertising companies, one of which gifted him with the enormous jolly Santa. 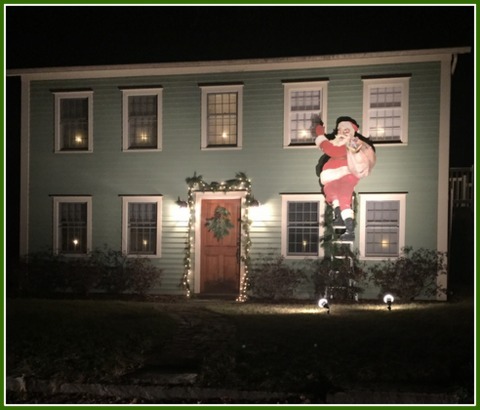 This is Jackie’s first year to display Santa, who has been handed down from her grandfather to her father to Jackie. “I’m so glad so many people like my Santa”, she says. 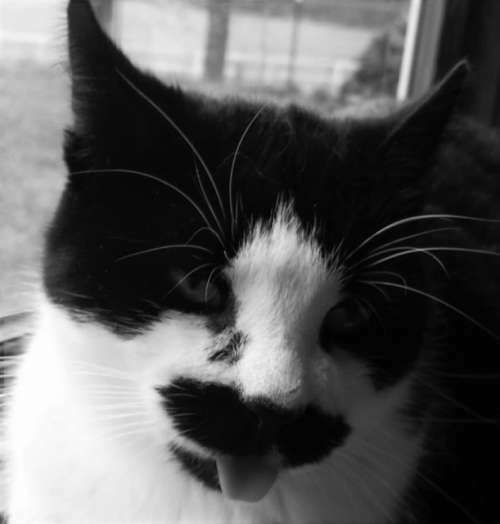 He certainly makes my family smile whenever we pass by. 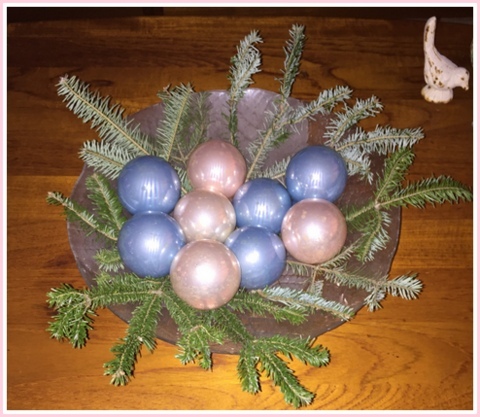 I started a thread a few weeks ago on the MaryJanesFarm Farmgirl Connection, asking which decorations were everyone’s favorite, most-special holiday decorations. The answers were all different; it was interesting to see what each person holds dear. One of my most special decorations is the first to come out for display after Thanksgiving. 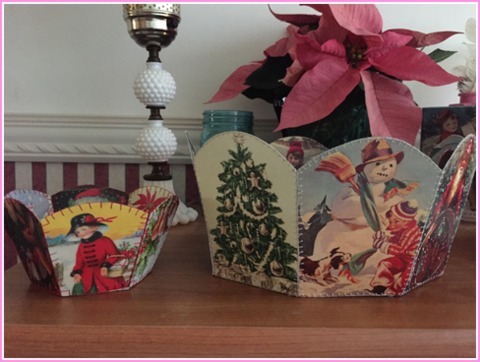 Made from vintage greeting cards, my hand-sewn paper card baskets were a gift from MaryJane and Meg, and featured in the December2012/January 2013 issue of MaryJanesFarm (with instructions on how to make them). The baskets are so lovely and delicate. I love how Christmas lights reflect their soft colors. Speaking of cards, my favorite illustrations feature Ellen Clapsaddle’s drawings. While I don’t have any original cards, I love items adorned with her work. My little wooden piece with its reproduction of an old Ellen Clapsaddle Christmas card, came from TJ Maxx one year, and I have seen similar pieces there each season. 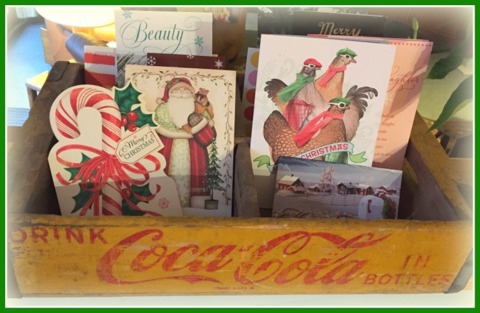 I still hand-sign, hand-address and mail out “real” Christmas cards each year, sadly a disappearing tradition. I so enjoy sending and receiving cards. 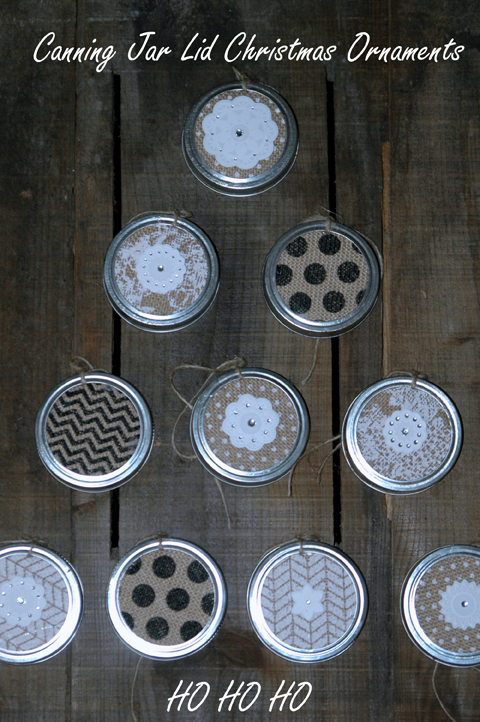 They look so cute displayed in a old soda-pop crate. There’s so many ways to re-purpose those crates, and the pop of red blends great with holiday decor. I love incorporating pieces that aren’t necessarily “holiday”. 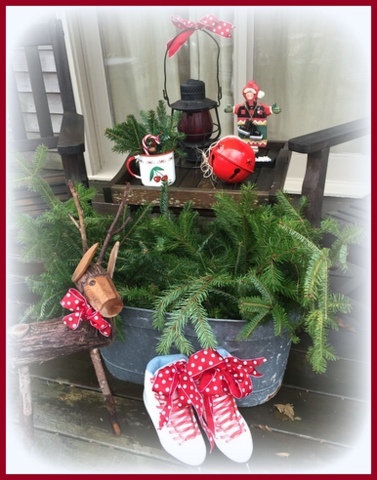 My porch greets visitors with cheer using my daughter’s first pair of skates, an old, antique railroad lantern (lit at night with a battery-powered tea light), and a washtub filled with evergreens. 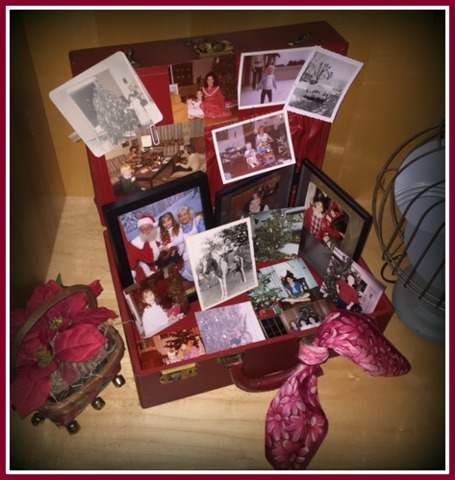 An old red train case looks festive tied with a vintage hankie, opened to display a collage of old family photos of Christmas from generations past. 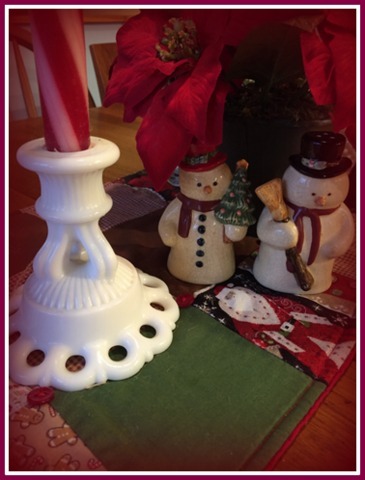 White milk glass “pops” when mixed with festive colors of red and green! Production of Little Golden Books began in 1942 as an economical, easy way for children to read, and didn’t break parents’ piggy banks at only 25 cents! After only five months, debut sales soared to 1.5 million books sold! When my daughter was born, I wanted to share with her the cherished titles I remembered as a child. 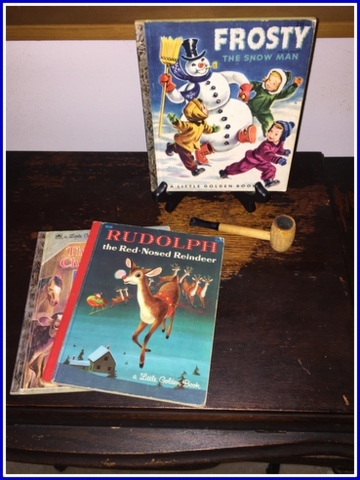 Now that she’s a teenager, I enjoy seeing them displayed as a nod to Christmas past (and yes, that’s a real corn cob pipe by Frosty)! I love to sew. Comfy handmade pillows in vintage prints make for a cozy corner. 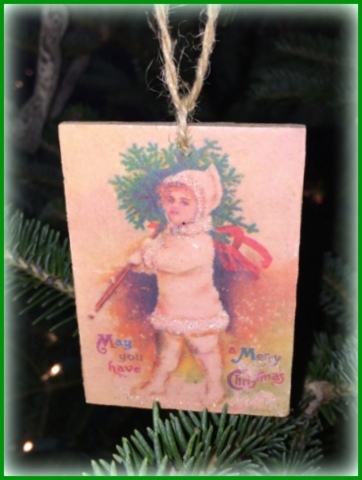 Collectors love antique ornaments like those made by Shiny-Brite. While these aren’t Shiny-Brite, they’ve weathered with age. They were actually inexpensive and new when my husband and I bought them for our first tree in 1992. 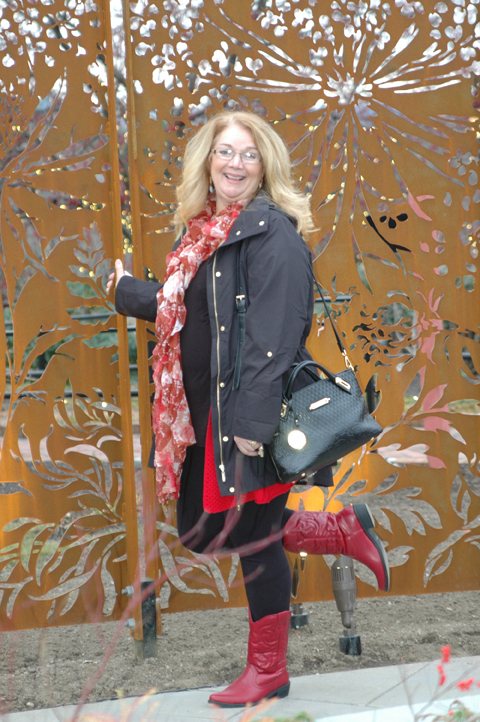 A plus to getting older – our things become “vintage”! 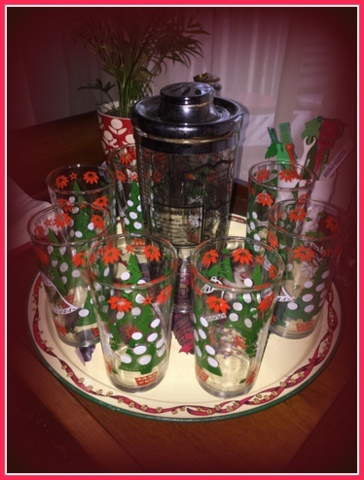 No “retro” Christmas would be complete without some fun, festive drink ware! 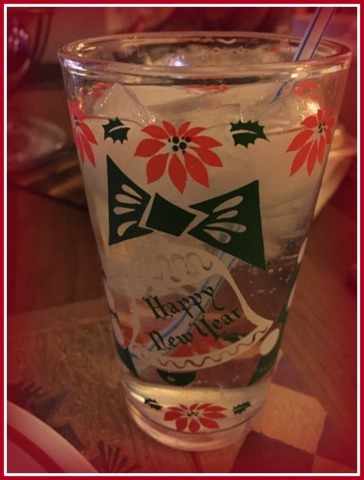 A dear friend gave me four vintage glasses last year after I admired hers, then I found four more at an antique shop. I love the “Merry Christmas” on one side, and “Happy New Year” on the other. I like their smaller size and use them for everything from seltzer to juice to iced tea. The little tray they sit on was a gift from an elderly couple at a church my husband and I attended as newlyweds our first Christmas away from all of our family. I can’t remember their names after 23 years, but I always remember their kindness each year I pull out the little tray. When friends visit, various retro stirrers keep guests from mixing up their glasses. 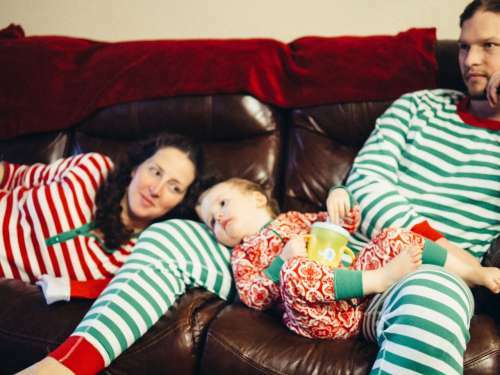 Christmas nowadays can be hurried and stressed with today’s lifestyle. Maybe that’s why I prefer vintage decorations, all sweet and jolly. 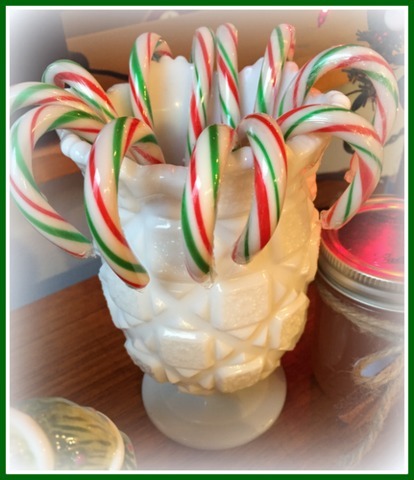 From simpler times, they are a reminder to slow down, relishing in the wonder and joy this season brings. What is your most favorite or special decorations, and why? Stop by the comments section and say hi! Happy Holidays Farmgirls! It sure is feeling Christmassy around here. Our tree is up, our stockings are hung (Santa even visited the stockings early…) and there are scraps of wrapping paper accumulating here and there. I’ve sent off most of my gifts and have been contemplating what treats we should start baking. Ava hangs her first ornament on our Charlie Brown Christmas Tree. 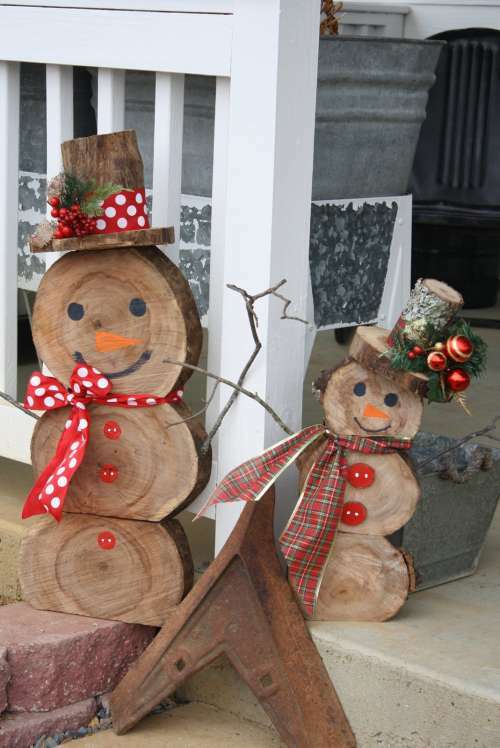 When A Tree Falls… Make Snowmen! We’ve had a huge dead tree on our farm that is right next to our driveway. My husband has talked about cutting it down all summer and he and our son in law were just waiting for the right day to get started on it. Knowing that once they felled it, it would block the road and they would be cutting wood for an entire day kind of kept them from starting. My Farmgirl Sisterhood Chapter, “CT Simpler Life Sisters” have been together as a group since 2010. Every year, we try to vary the activities we do, but each Christmas, we keep to our tradition, started that first holiday season together. I have the privilege of hostessing our Annual Christmas party – and it is this sisterhood chapter gathering that we really look forward to all year long. Ahhh, traditions! 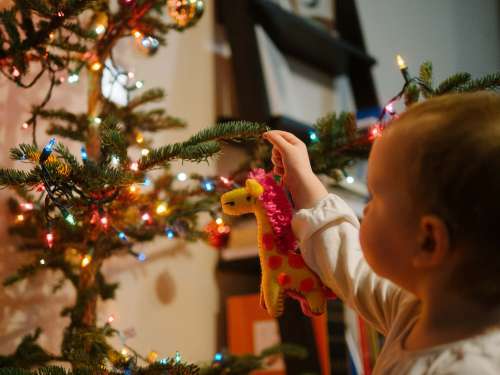 Almost every family has them, and they are especially prevalent this time of year. 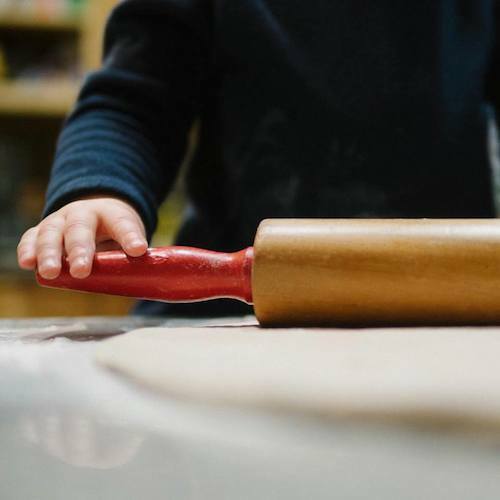 A lot of families bake batches of cookies or create ornaments for distant relatives. Numerous others have little whimsical things that are particular to their families. We can’t start them too young, can we? Look at those cute little hands. This is making Thanksgiving leftover pizza!